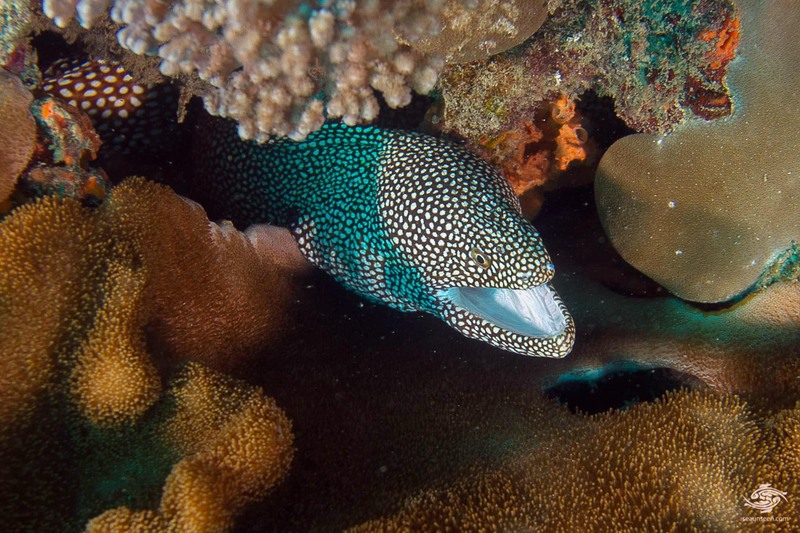 The white-mouth moray eel is brown to yellow-brown with numerous white spots on the head and body. The inside of the mouth and the tip of the tail are white. There are enlarged canine teeth at the front of the upper jaw. The mouth is proportionately wide with teeth designed for tearing flesh rather than grinding or holding in place. 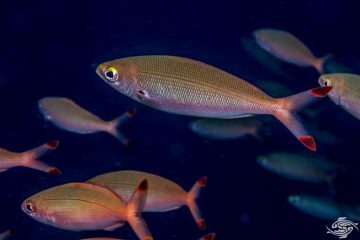 They do not have pectoral or pelvic fins and the dorsal fin runs the length of the body. 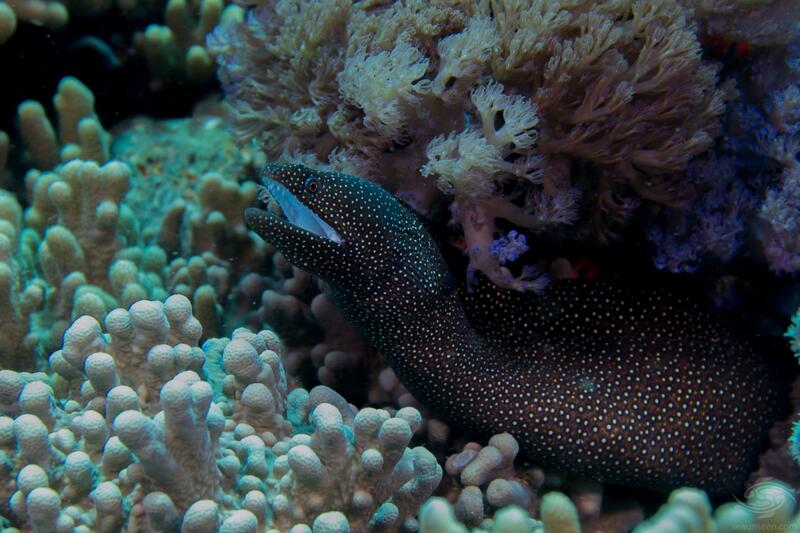 Morays secrete mucus over their scaleless skin, which in some species contains toxins. 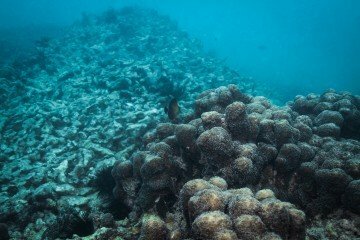 They have a thick skin and a large number of cells that secrete mucus. 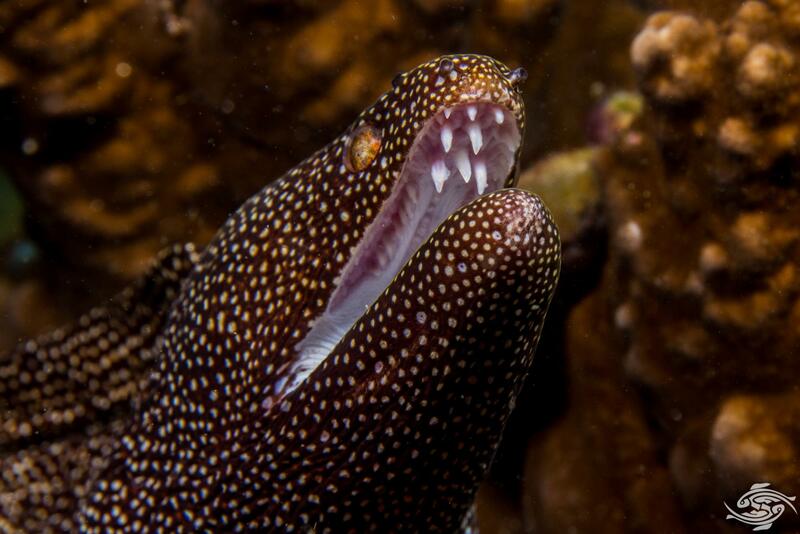 The white-mouth moray eels grow up to a meter in length. The enlarged head can clearly be seen in the image below. 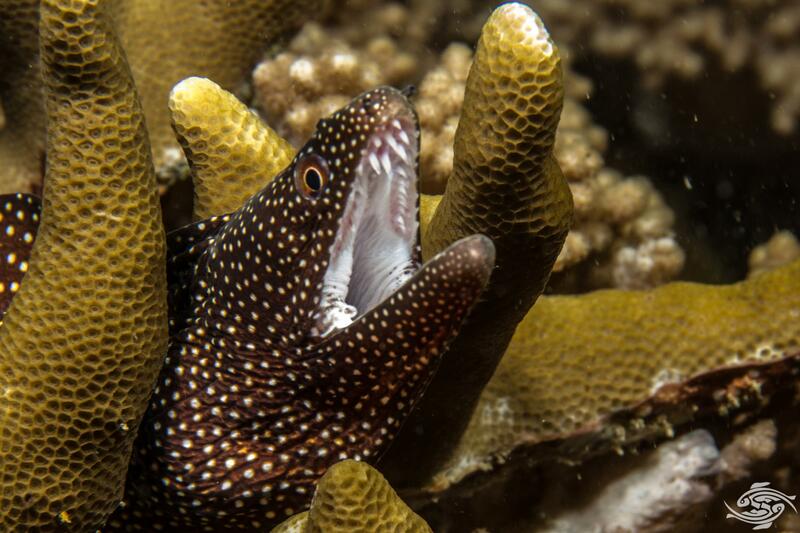 On the roof of the mouth white-mouth moray eels have additional rows of teeth, which are larger than those around the rim of the jaw. The number of teeth seem to vary from eel to eel but the younger ones have up to three extra rows of teeth. This can clearly be seen in the image below and as one can see gives them a pretty fearsome bite. 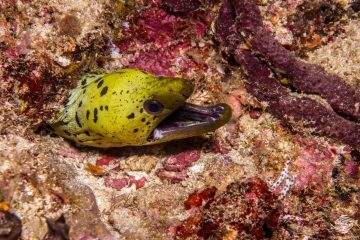 The white-mouth moray eel are generally seen protruding from a hole or small cave and are seldom if ever seen in the open. They are not aggressive but should be treated with caution because of their sharp teeth. 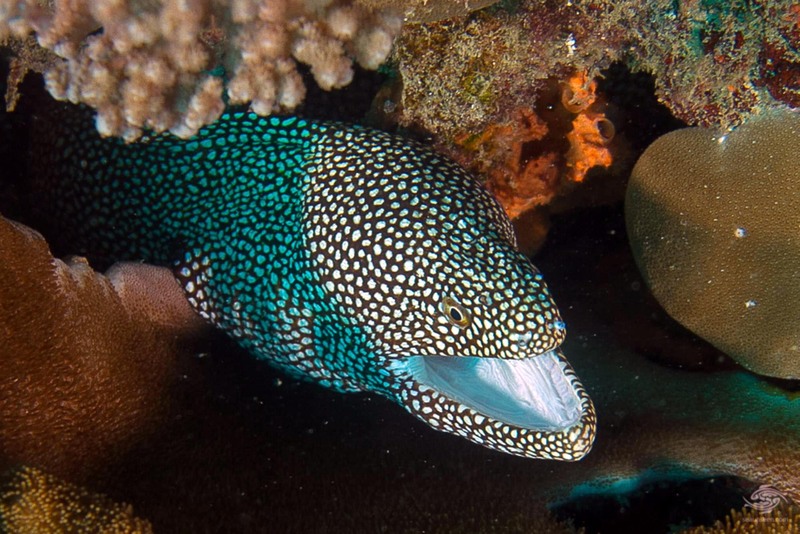 The white-mouth moray eel is found across the Indian ocean and in the west Pacific. 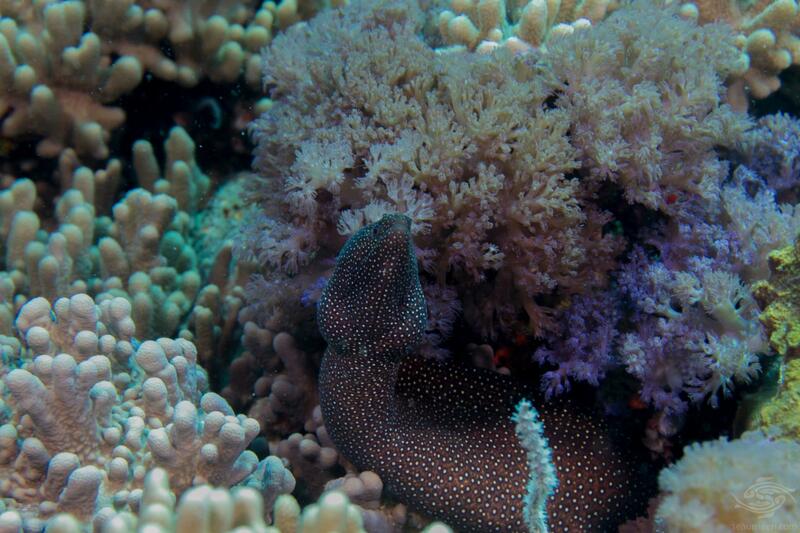 The whitemouth moray eel is carnivorous, and does most of its hunting at night. 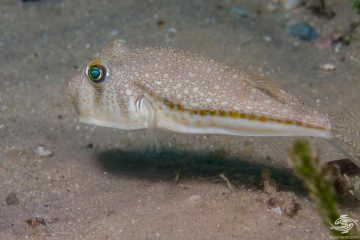 They feed mainly on small fish and crustaceans but the fact that they are on occasion caught by fishermen using bait indicates that they will scavenge as well. 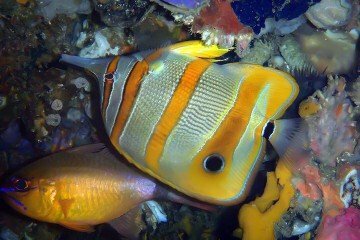 Because of their attractive looks they are kept in aquariums. Due to their size of up to one meter in length they should only be kept in a very large aquarium. They are easy to feed and are hardy. 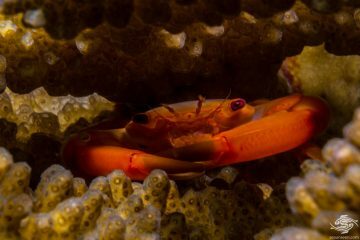 They cannot be kept in a reef tank as they will eat crustaceans and fish and are likely to push rocks over that are not well anchored. .